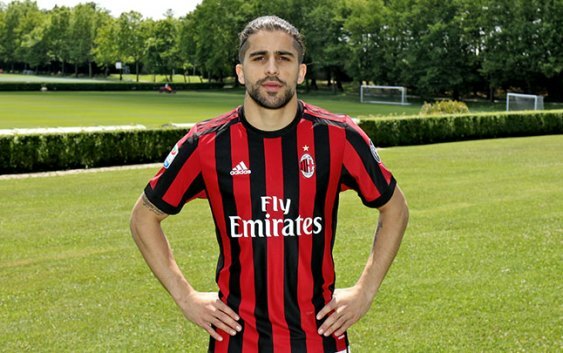 Arsenal have been linked with AC Milan left-back Ricardo Rodriguez due to the current left back crises currently enveloping the club. Left backs Saed Kolasinac and Nacho Monreal have both sustained injuries and are expected to face spells on the sidelines. According to the Daily Mail this injury crises has seen the North London club enquire for the services of Rodriguez from AC Milan. AC Milan don’t want to sell, but FFP regulations could tempt the Italian side to sell the 25-year-old defender. However, Milan are not going to let the player leave on a cheap and have slapped an asking price of £30 million for the Swiss Star. Rodriguez only joined the club last summer from Bundesliga side Wolsfburg. Rodriguez is known for his attacking forays and set piece abilities and would be a good player for the Gunners. Though according to news from the Emirates Emery would have to sell players to be able to fund the transfer. Arsenal fans would be hopeful that the deal goes through as Rodriguez is an upgrade on Saed Kolasinac and can develop into a world class player at the Emirates. Rodriguez made 44 appearances in all competitions last season as the Rossoneri finished 6th in the Serie A table.